Celiac Baby! : Late Night at Work = Quick and Easy Lunch. Oh, and it's Gluten Free Too! Late Night at Work = Quick and Easy Lunch. Oh, and it's Gluten Free Too! Tonight I was at work late. The school hosted an event for parents, and I was at work until 8:30pm. Maybe it's because I'm tired, but as I'm thinking about packing my lunch for tomorrow, the leftovers in my fridge aren't calling my name. I could go out for lunch, but I'd rather just bring something along from home that I know is fresh and healthy. My son doesn't generally eat canned soup because a) they're rarely gluten free, and b) making soup is one of the simplest things to cook, so I usually make them myself. However, I do generally keep a few cans on hand for days like this- when I'm too lazy to cook but too picky to eat what's already prepared in the fridge. When my son's gluten issues first came to light, I was overwhelmed at first. I didn't even know that specialty gluten free brands of food existed, so I looked to the old standards to see what would be safe. 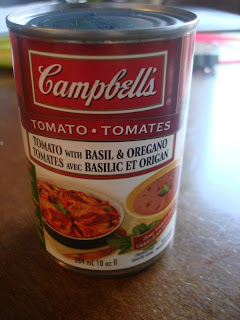 Campbell's soup turned out to be a big help in the beginning. 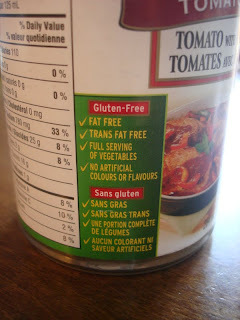 Not every flavour is gluten free, but the ones that are list it right on the can, highlighted in red within a larger green box. 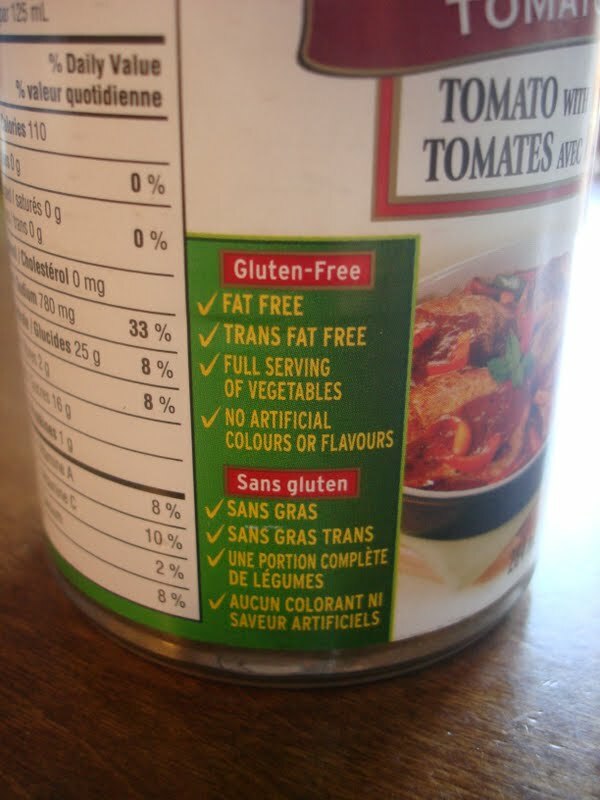 In fact, the Campbell's website states that they are a member of the Canadian Celiac Association. To view their Gluten Free FAQs, click HERE. Curious to see a product list? Click HERE. Be sure to check back regularly for their most updated list. 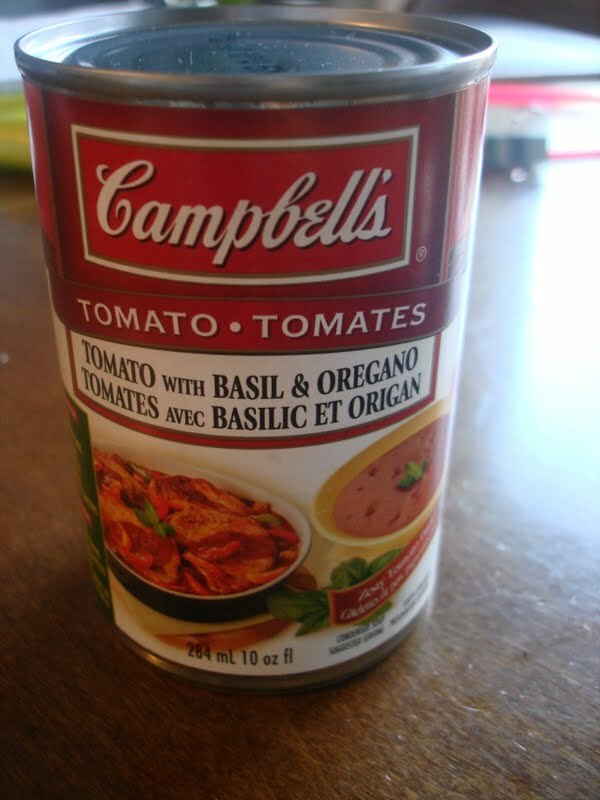 The can I have on hand is Tomato with Basil and Oregano. How is this going to help me make tomorrow's lunch? I'm looking forward to lunch already!